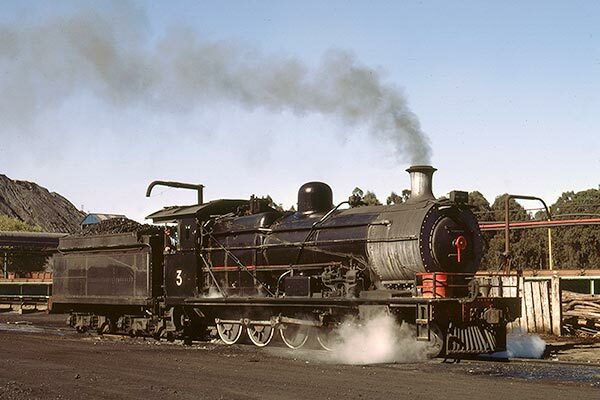 Caption - Apex Greenside Colliery (Transvaal) with former South African Railways class 1A 4-8-0 no.3 (SAR no.1301) shunting at the mine. Built by North British in Glasgow in 1909 it was still very active hauling heavy trains when photographed in May 1981. Also working hard was Apex Greenside no.1 an ex-SAR Class 1 4-8-0 built in 1905.